Big Food faces myriad challenges in this fast-changing food and beverage world. During her short tenure at the top of Campbell, Denise Morrison has adapted and set a new path. 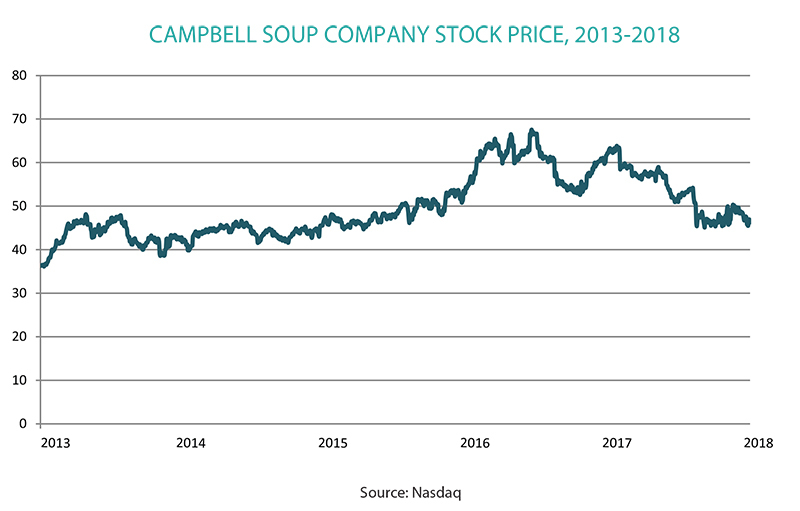 You’ve probably heard of Campbell Soup Company. While not the oldest food giant in America (General Mills and Procter & Gamble have it beat there) and not the largest (running roughly an eighth of both PepsiCo and P&G’s revenues), it’s certainly among the most iconic. Still, the position the company takes today is with feet in the present and eyes on the future. Easier said than done in a business climate of quarterly returns and short-term thinking. Staying relevant in the fast-changing food and beverage world requires creative strategy. There’s no room for status quo—especially when this company’s status is part of the ‘Big Food’ establishment that consumers seek to escape by purchasing natural, organic, craft and artisanal foods. Campbell isn’t the only large company looking at upstart organic companies for acquisition. They all are. What might set Campbell apart is the way it’s allowing the new wave of food values to infuse even its legacy brands—and do so true in a manner true to the founding values of the company—bringing authenticity to the company overall. This agility and focus on core values point to great leadership, which points to President and CEO Denise Morrison, recipient of this year’s NBJ Management Achievement award. 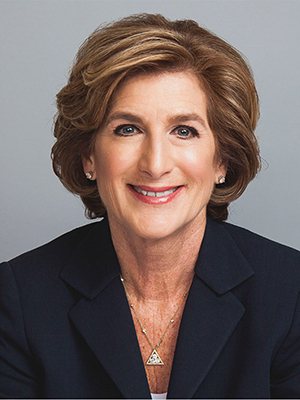 Morrison became CEO of Campbell in 2011—after eight years with the company and 30 years in the industry with Kraft, Nabisco, Nestlé, Pepsi and Procter & Gamble—making her mark in an industry where the C-suites are still dominated by men. In just a few years, we’ve seen a conventional legacy company become fresh and relevant. Part of our decision to recognize Morrison is that the choice honors the profound impact the natural products industry has had on the food and beverage world. Without the seeds planted by the pioneering brands of our industry, and the disruptive new brands that carry the torch, the inspiring, wellness-focused maps and charts by which Morrison navigates would not exist. “Denise is a courageous visionary leader at this time of massive change in the world of food and beverage,” says Neil Grimmer. Grimmer’s fresh organic baby food company Plum Organics was acquired by Campbell in 2013, a key move toward more wholesome foods. Listening to customers, to a large degree, means listening to millennials. “Every year we talk to thousands of consumers. It’s part of our company’s DNA,” she says. Again, Grimmer is both witness to and evidence of this. “Denise has been very focused on looking at the intersection of food, health and technology as part of her strategic compass,” he says. His latest venture, NBJ Innovation Award-winning personalized nutrition pioneer Habit, has received substantial investment from Campbell. In 2016, Campbell formalized its investment strategy by creating Acre Venture Partners. The fund has invested in Farmer’s Business Network and Back to the Roots, among other startups. Campbell provides these companies with financial support, creative encouragement and strategical counseling. Yet, Morrison sees all this futurism and investment as consistent with what Campbell has done since day one. Founder Dr. John Dorrance, she says, sought to satisfy three objectives: using ingredients they would serve at home in an appealing combination at affordable prices. Being real and being big can coexist, Morrison believes. “Our goal is to be the leading health and well-being company,” Morrison says. Such an ambitious goal will require a balance of internal innovation and strategic, economically-sound acquisitions. The company, and its dynamic leader, are poised to do it. “We are inspired by our heritage, clear-eyed about the present and focused on defining the future of real food,” Morrison says. This article is from the February issue of Nutrition Business Journal. Download the full issue with all of the 2017 NBJ Award winners for free here.